If you are traveling down I-65 in Kentucky I found a great National Park worth the stop. 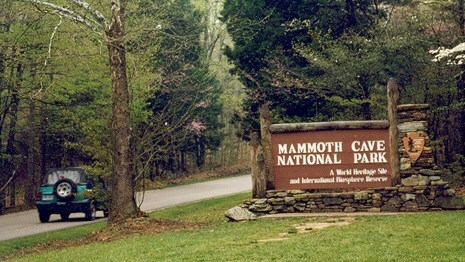 Mammoth Cave National Park. 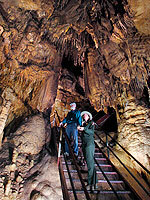 Mammoth Cave National Park has more than 400 miles of explored caves. 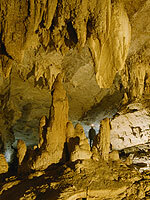 It is the world's longest known cave system. Definitely worth the stop! Cave Tours & Programs change during the season - make sure to check HERE When you click on the link you can also find a detailed explanation about each tour ~ Duration, Distance, Total Stairs, Difficulty, Tour Capacity, Price and Tour Times. We took the Frozen Niagara Falls Tour. They bus you to the cave site. Our Ranger was very knowledgeable about the cave system. You will be impressed how the park system is handling a diesease that bats are getting! I don't want to tell you the details - I think learning the info at the end of the tour is part of the fun.